Located in Breezy Point, MN, less than a mile from beautiful Pelican Lake where there is excellent fishing and boating. Commander Motel contains 6 nonsmoking rooms, and 4 smoking rooms. The Commander Motel rooms are attached to the Commander Bar and Restaurant. 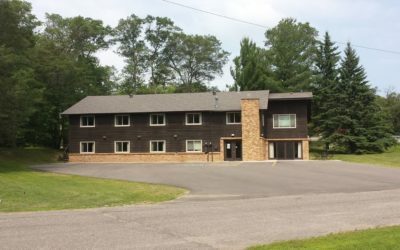 Located in Breezy Point, MN, less than a mile from beautiful Pelican Lake where there is excellent fishing and boating. 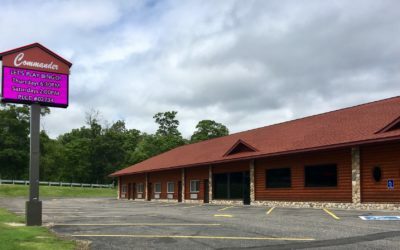 Pelican Lake Motel contains 6 nonsmoking rooms, 7 smoking rooms, and 3 suites which are conveniently located near the Commander Bar and Restaurant. 3 room suite with King Bedroom and Bath upstairs, kitchen/dining area, and living room with sleeper sofa. For and additional charge add adjoining room with Queen Bed and Bathroom. 72 hour cancellation notice is required on all Motel rooms. 2 room suite will sleep 4. King bed and jacuzzi bathtub in bedroom, sleep sofa, kitchenette and one bathroom. 2 room suite with log furniture will sleep 4. King bed, Log trundle bed, kitchenette and one bathroom.